Fat, hard-rockin' sound and elegant Fender style unite in the Deluxe Strat HSS, a versatile tone machine with power to spare. 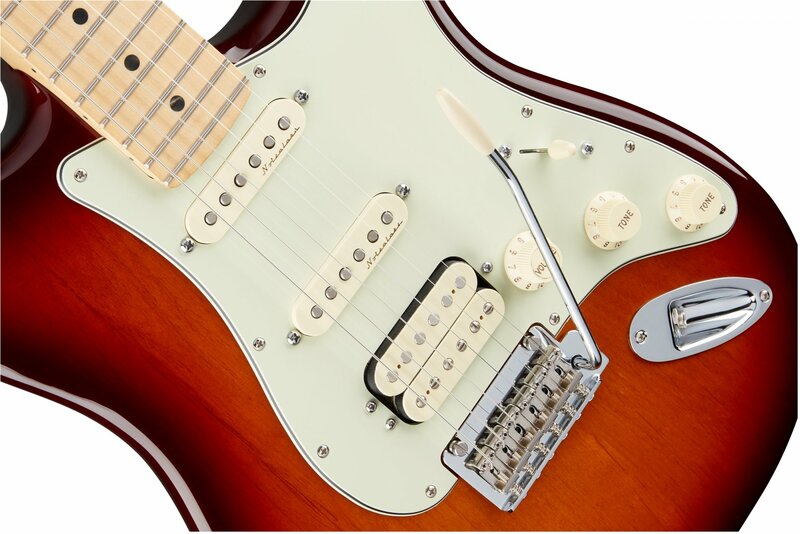 The rich, warm humbucking bridge pickup adds a touch of thickness to the instrument's voice, while special electronics ensure traditional Strat tone is close at hand; ready to go at a moment's notice. A time-tested performer on stage and in the studio, this graceful performer with smooth, comfortable playing feel will easily handle any sonic needs that arise. Alder body in Tobacco Sunburst finish.